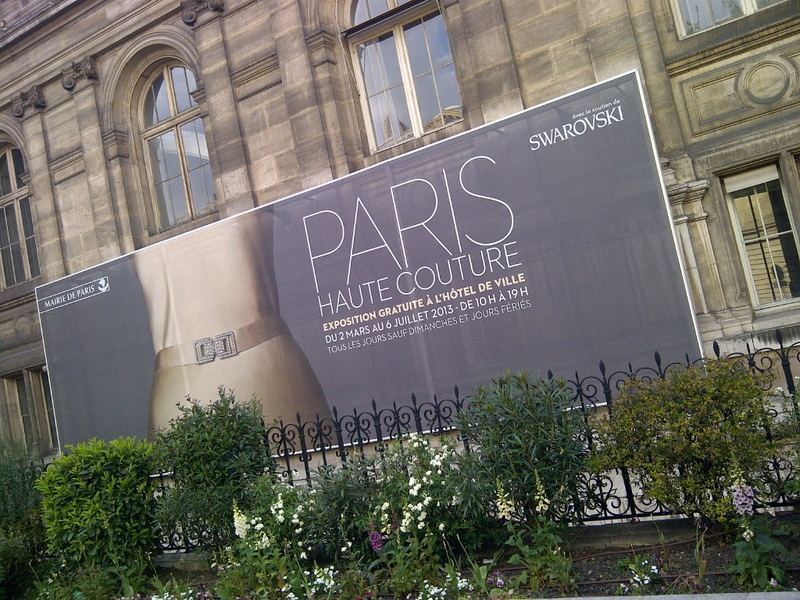 Last chance to see Paris Haute Couture! I’ve seen this exhibition twice. I would happily go and see it again, except I’m not going to be in Paris this week. It is small but concise. It gives you a chance to dive into the haute couture world and admire the talent of the French couturiers. There are Chanels, Diors and Lanvins, of course, defining the high fashion as we know it. But my heart was totally stolen by the Bengale dress by Marcelle Dormoy. Maybe because of its graceful appearance, maybe of its colors – emerald green and fuchsia (one of my favorite color combinations, not that I ever wear it myself). I can’t quite explain it but there was something about that dress… Marcelle Dormoy was a French fashion designer active in 1930s and 40s. 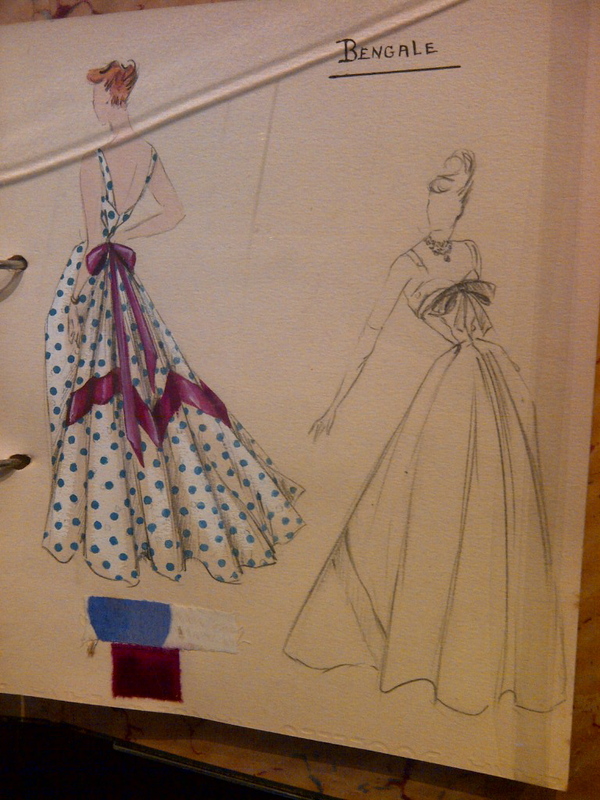 I’ve found quite a few vintage prints of his work online, like this beautiful evening gown from 1947. I’m quite intrigued to find more about this designer (if anybody has any information, please share!). I liked the dress so much I made my own sketch.